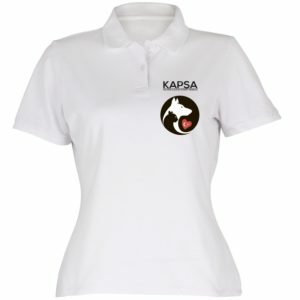 Kapsa was set up as an official association in 2008, however, some people started looking after the welfare of Kalkan’s street animals many years earlier. Way back in 1995 the first mass neutering session took place when two Kalkan business women Linda Bestwick and Sevilay Öztürk invited vets from Antalya to come to neuter as many cats and dogs as could be caught in two days. The event was not without trials and tribulations. Firstly, as it was not known how local people would react to the project, it was kept as quiet as possible. Operations took place in a private villa and unconscious animals were passed through a window to recover in the back garden so as not to attract attention. In 2000 FFHD – Fethiye Friends of Animals association was founded by an innovative and entrepreneurial business woman Perihan Agnelli. (Click here to read more about her fantastic work) A couple of years later, hard work, generous donations and foreign sponsorship enabled FFHD to purchase a fully equipped mobile clinic and employ a full time veterinary surgeon. Over the next few years the clinic visited 80 towns all over Turkey. It came to Kalkan for the first time in 2002. Many people volunteered to help catch stray animals and soon the car park in front of the old school where the mobile clinic was parked was teaming with cats and dogs waiting to be neutered. Unfortunately operations were delayed for nearly half a day because the resident vet in Kalkan complained to the authorities that the presence of the clinic was detrimental to his business. The problem was eventually solved with the intervention of the then Mayor of Kalkan, Mustafa Şalvarlı and operations then continued for the next day and a half. The bus visited Kalkan again on one other occasion. Sadly though, over several years the mobile clinic faced similar opposition from many private vets in other areas of Turkey, so after 5 years, and having neutered literally tens of thousands of cats and dogs, the mobile clinic was retired to a shady plot in Fethiye Dogs Home. With the mobile clinic no longer in operation and the nearest street animal friendly vet nearly 90km away in Fethiye, animal lovers had to find an alternative way to get Kalkan’s street cats and dogs neutered. Perihan helped to find two young veterinary surgeons, experienced in the practice of keyhole sterilisation who were willing to visit Kalkan for a day or two every few months, for a fee of course. However, as these two vets were not actually registered in Antalya, they weren’t strictly speaking supposed to operate in Kalkan. So once again animal loving volunteers had to resort to clandestine tactics! Operations were performed in private villas or apartments and teams of catchers would creep around Kalkan armed only with cat boxes, collars and mobile phones! As soon as several cats or dogs had been caught they would call for a car to come and whisk the animals off to be neutered. Although it all sounds a little crazy, there was method in the madness. Every animal caught was registered on a form with the time and place they were caught. Dogs were given numbered ear tags and cats would have the tip of their ears snipped to avoid further capture. Great care was taken to put each animal back in the location in which it had been caught. To this end cats would have the details written on a sticker stuck to them to avoid confusion. Some times as many as 45 animals could be neutered in one day. This carried on for some years, we would neuter what we could in this fashion, and if animals needed treatment in the meantime we would try to find someone that could take them to Fethiye for treatment. However, Kalkan was changing; it was no longer the sleepy little village tucked in between the sea and the mountains, surrounded by olive groves. In 2001 mass building started and villas and apartments started going up everywhere. As the saying goes ‘The bigger the place, the bigger the problem’ As Kalkan grew so did its street animal population. Kalkan was suddenly very accessible and people from surrounding areas could see the wealth it was generating, not to mention the number of restaurants there were. Dumping of unwanted dogs and cats, especially puppies reached epidemic proportions. We needed to be much stronger in order to cope with all the work. So in April 2008 with Atilla Atalay our first President, KAPSA was founded. That year we saw a lot of positive changes. As we were now an official body, the Mayor of Kalkan offered to pay all our medical bills for the last quarter of the year (absolutely nothing to do with the imminent election you understand!) With that promise behind us we managed to persuade Petlife Clinic in Fethiye to open a branch in Kalkan. We worked very closely and happily with Veterinary Surgeon İbrahim Özkan who came to run the clinic and together we did extensive neutering and treating of animals in Kalkan and surrounding villages. After 3 years though he decided to move abroad and with escalating veterinary bills, we needed a new strategy to tackle the increasing demand placed upon our resources. The end result being the rise of the current Kalkan Veterinary Clinic, which is now an independent business, with vets Hasan and Lokman, who help us almost daily with animals that need care. Your donations have helped to fund thousands of neuters and emergency care for many animals that they would otherwise not receive. You can read about the work KAPSA are now involved in on the What We Do page.